It also relates to confidence, self-esteem, will power and the ability to access our 'gut' instincts. Body areas associated with this chakra are the abdomen, waist, mid back and digestive organs. It's here where we turn food into energy so noting how what we eat affects our energy, depleting it or enhancing it, is a key point to be aware of. Since this chakra governs our digestive fire, Agni, how we digest our life can also affect how we digest our food. When the energy around this chakra is unbalanced, you may be more controlling, dominating, have low self-esteem as well as poor digestion. You can be stubborn and lack energy or become unmotivated. When you begin to become more aware of the third chakra and begin to balance the energy here, you will feel more courageous, empowered, confident and not give your power away any more. Once you find what ignites your inner fire and how good that feels, your self-discipline, Tapas, will increase which will help sustain your inner fire. You will be able to tap into your 'gut' instincts more. Maybe practice making small decisions more from your gut. 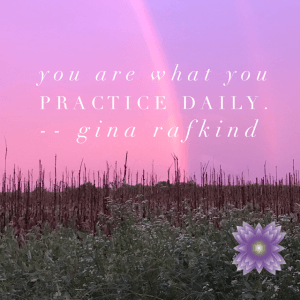 Instead of thinking or trying to come up with an answer from the head, drop down into your gut and ask yourself, 'what do I feel about this?, and notice is any sensations arise. I bet they will! This will build your inner guidance system and trust from within. The associated sense is that of sight and the seed sound is Ram. 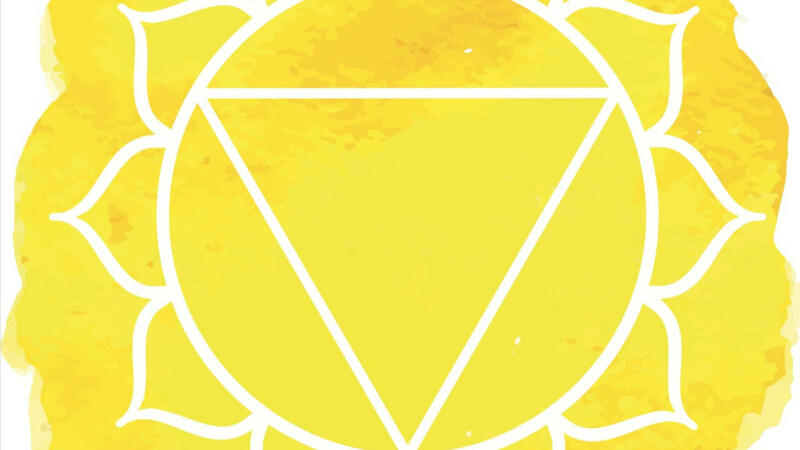 The main purpose of this chakra is to start the transformation process (fire element) through standing up for yourself, acknowledging what you're great at (yes you are awesome!) and starting to fully trust yourself. Write a To-Do List - Jot down those things that are important for you to get done and draw a big golden star next to it when you accomplish it. Honor your accomplishments! Wear the Color Yellow - Either in clothing or jewelry or put a crystal in your pocket like citrine or sunstone. Use Essential Oils (follow directions and guidelines for use) - Use oils like chamomile, juniper or rosemary and you can find blends already made for the chakras like here at Plant Therapy. Try Something that Moves You Out of Your Comfort Zone - Have you ever paddle boarded? (it's a ton of fun), Kayaked? Tried a totally different type of cuisine? Go ahead! Be adventurous! Meditation - Meditate by gazing at a candle flame or in the sacred space you created in your home, visualizing a golden radiant sun or flame at your navel center. Start Listening to Your Gut- And begin trusting your gut feelings. Yoga - Of course yoga! You can ignite the fire element in your practice, visualizing yourself as a radiant, vibrant shining sun. We start at the earth feeling grounded and stable (think Tadasana, Mountain Pose) to flowing like water (think flowing Sun Salutations) to igniting the fire within (think core poses like Navasana, Boat Pose or Salambhasana, Locust Pose) where you are pretty much balancing on your Power Center. Chant or say the seed sound of this chakra which is Ram. As you continue to awaken and ignite the Solar Plexus Chakra, you will begin to cultivate the energy needed in your life to stick to and follow through with the goals you have created to manifest your deepest intentions. Acknowledge now that you have the capability to see what circumstances of your life enhance your energy and which ones drain it and the strength, through consistent practice, to choose that which will serve you in the highest way. I am empowered and energized to manifest my dreams.